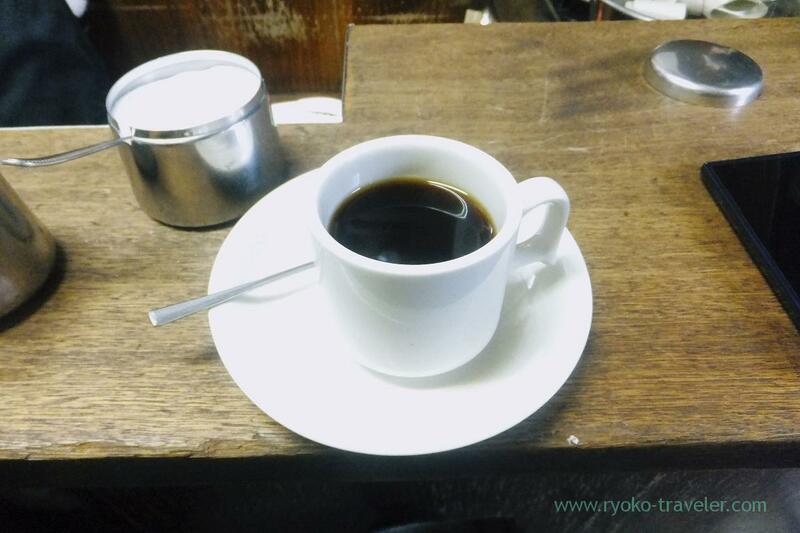 Notice : Amikane Coffee quit their business. Because now is summer holiday season, there are so many visitors in Tsukiji Market in weekdays’ morning. We wanted to go to Kato and eat sashimi but there were about five people waiting in front of the shop. So, we gave up. Kato takes much time to serve. It seemed to take about 20 minutes ? I had work after that, so, I didn’t want to wait such a long time. So, we gave up soon and went to Odayasu. We thought there must not have people waiting. Certainly there wasn’t anyone in front of the shop. But there was no vacant seat. Fortunately, there wasn’t people waiting, so, we decided to wait there. We viewed inside the shop, then we found there were two acquaintances at the table. We gazed them and they awared of us. And they said “Do you share our table ?” We were lucky. The waitress said “You really like photo … ” with unclearly voice on my back. I said to the waitress last time “With rice” (I meant it’s rice and miso soup set) but actually she served rice only. 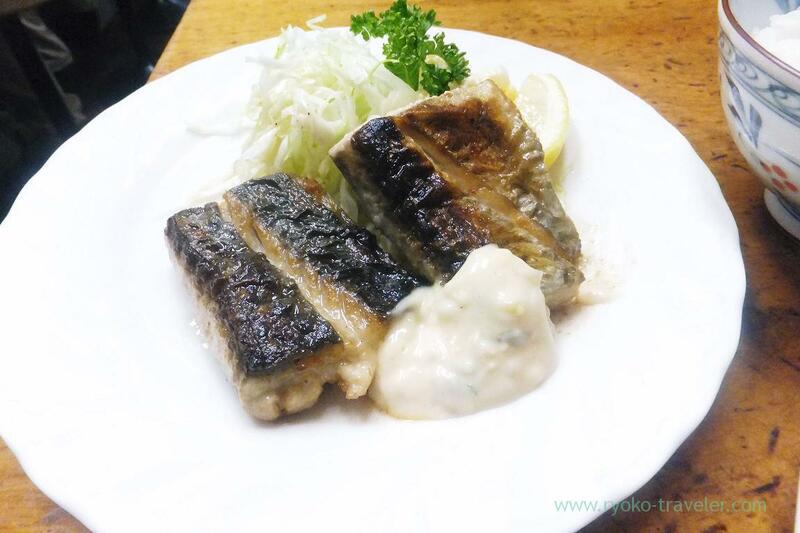 Fried Barracuda with butter(カマスバター, 700 yen) that I had wanted eat at the shop on the menu ! I ordered it without hesitation. 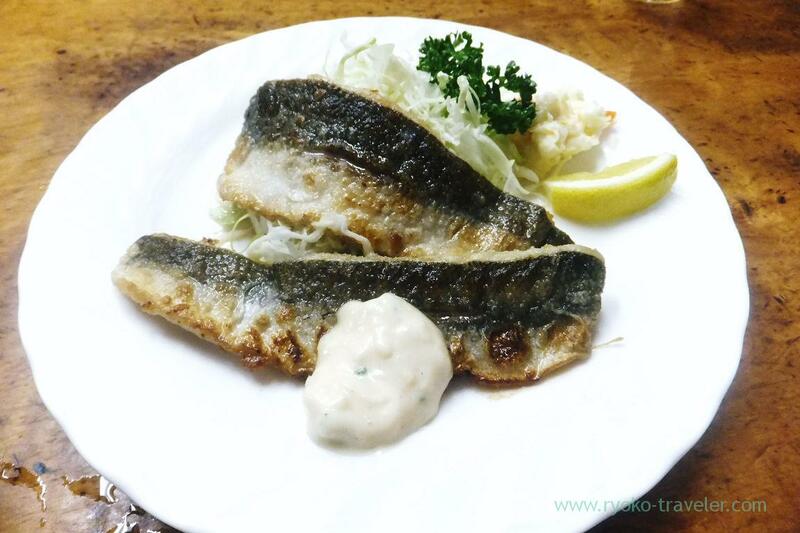 There was no words “Fried Young Spanish mackerel with butter”. 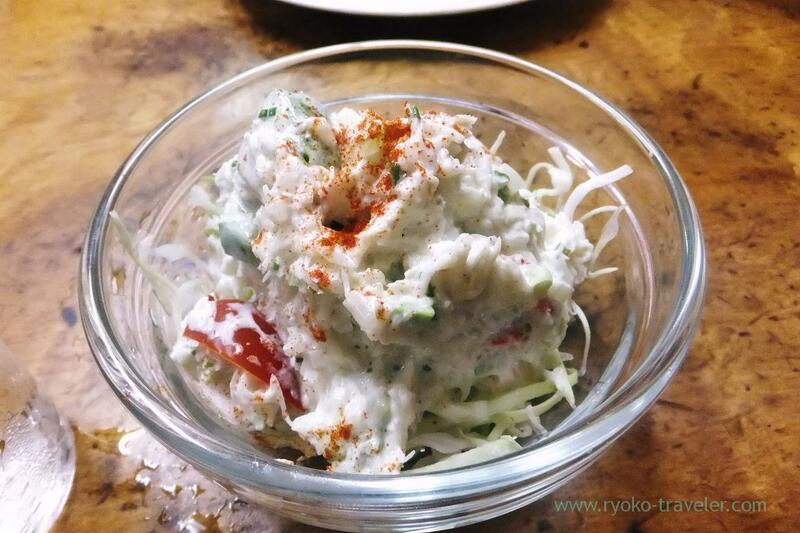 Only “Deep fried Young Spanish mackerel”. She thought for a while and then answered “OK”. 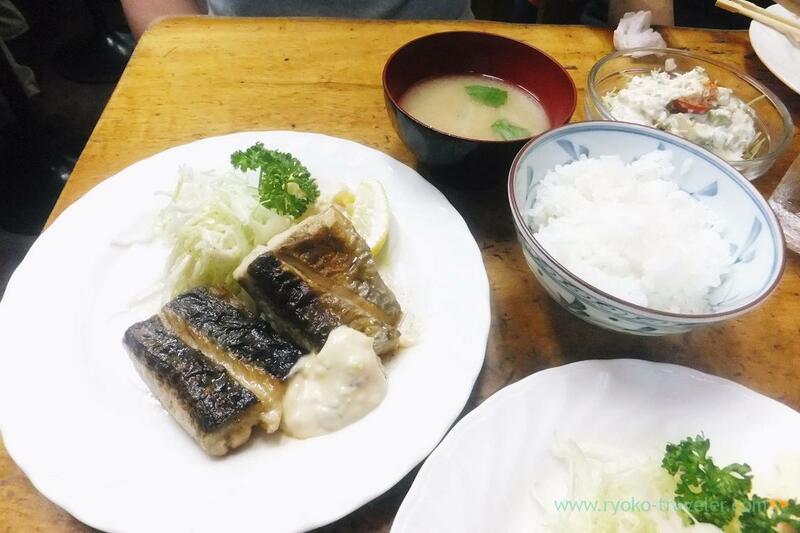 Spanish mackerel have many Japanese names according to those ages and sizes. This young and small-size (40-50 cm) Spanish mackerel is called “Sagochi” in Japanese. 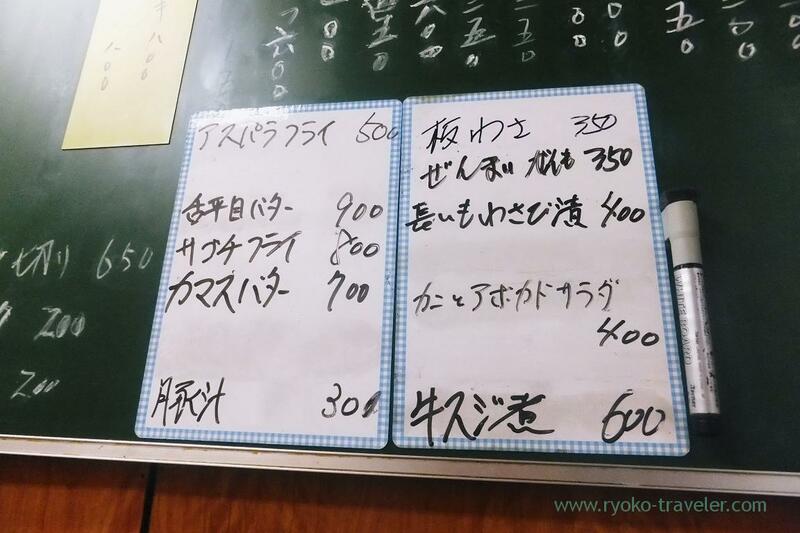 There are many deep fried foods names on the wall, but their fried foods with butter is good too. After the breakfast, we walked to outside the market for having coffee. 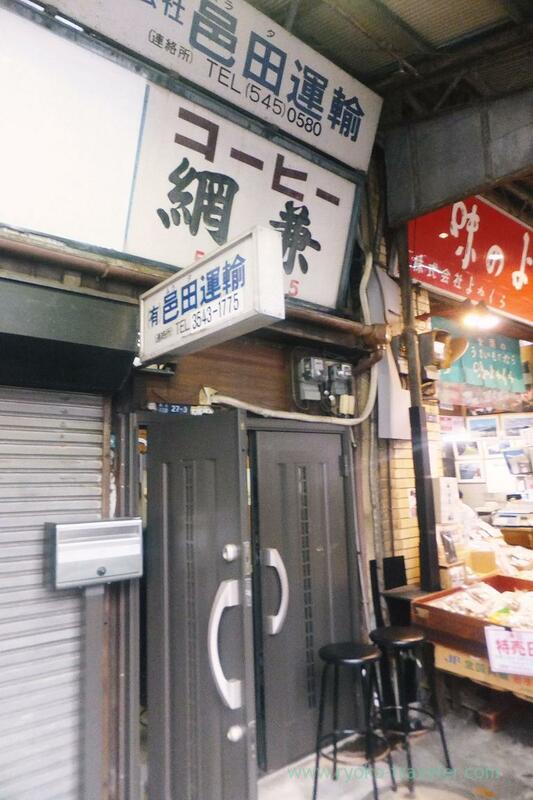 We intended to go to Turret coffee or Yonemoto coffee, but this shop came to in my mind. Coffee Amikane that is open only Tuesdays and Saturdays. That day was Tuesday ! It’s precious opportunity ! 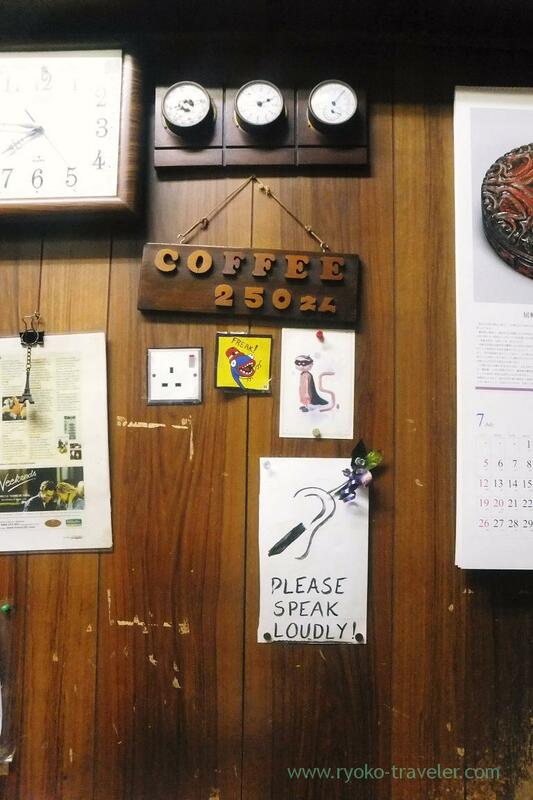 This cafe is owned by elder lady. She seems to be over 80 years. She serve hot coffee only. This machine is very old as you see. 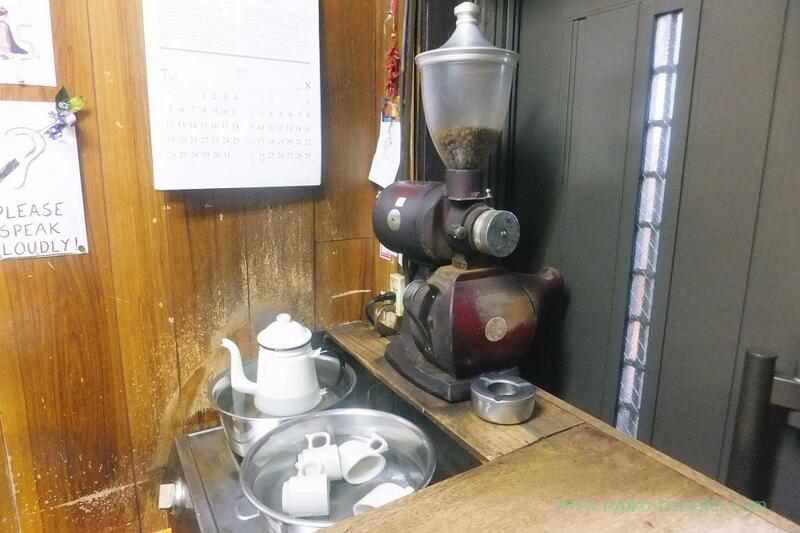 This shop is long-established cafe and this machine have been here since she had started the cafe.